Delving deep into the archives of the magazine, "i-D" offers a unique insight into the world of iconic fashion designer Vivienne Westwood. 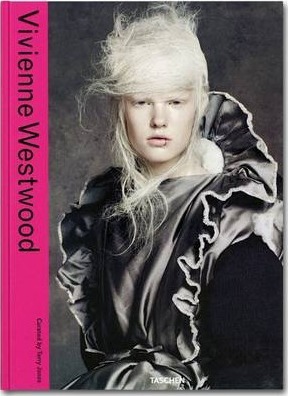 This book revisits interviews and features from the early punk beginnings of her career in the 1980's to today, documenting her instigation of the crinoline craze, her thoughts on how fashion can make a difference, and her journey to becoming one of Britain's most original and influential designers. Vivienne's appeal continues to gain momentum with the years, and today she is as much loved by new fashion fans discovering her for the first time as those who have followed her career since the start. Packed into 120 pages is biographical and personal information as well as imagery from over 30 years of "i-D's" history with images from photographers including Juergen Teller, Nick Knight, and Chen Man plus interviews with Caroline Baker, Caryn Franklin, Ben Reardon, and Terry Jones.